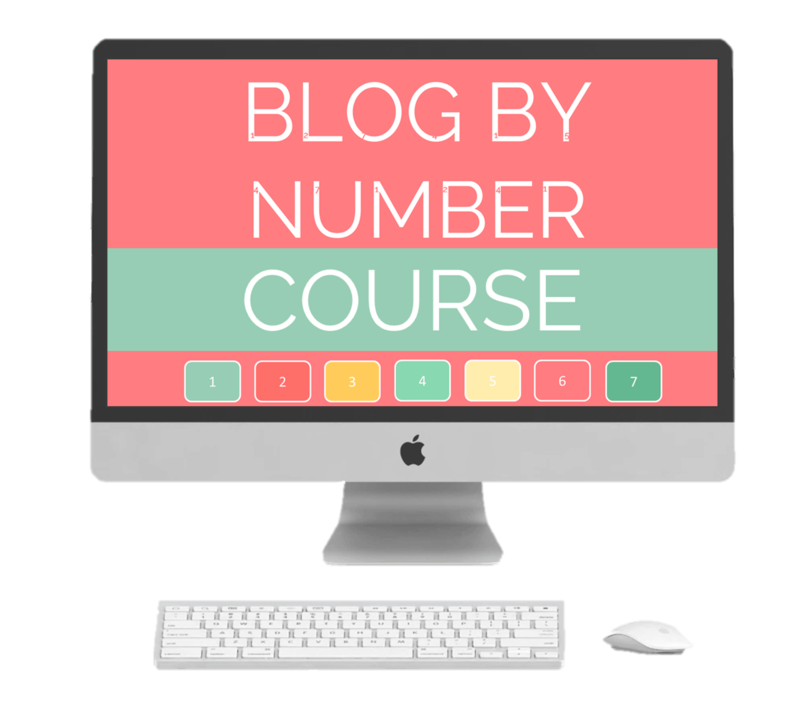 The course to help moms start successful blogs. 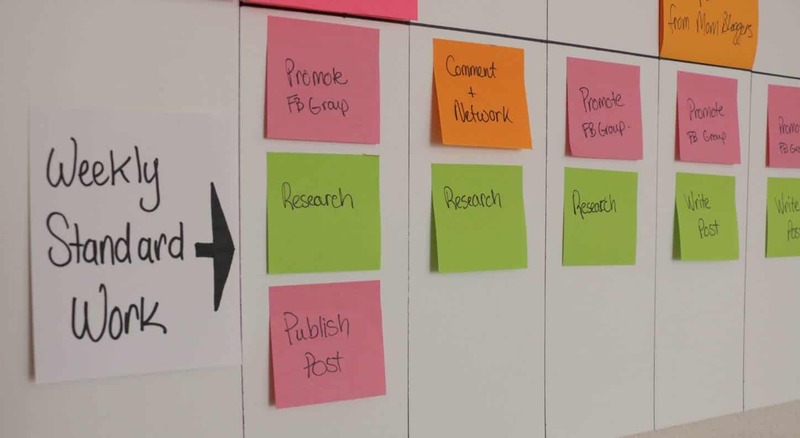 Want to know how to create a blog vision board and editorial calendar like a Lean boss? Before I became a stay at home mommy to my two beautiful girls, I was an Industrial Engineer working for Fortune 100 companies in Lean Six Sigma. The skills I learned there I want to pass along to you! I have applied these skills to my blog vision and editorial board. I have also created a system on how I manage my Facebook groups – it’s my Facebook Groups Promo Schedule. It has helped me gain great traffic from Facebook. You’re welcome to use it too! 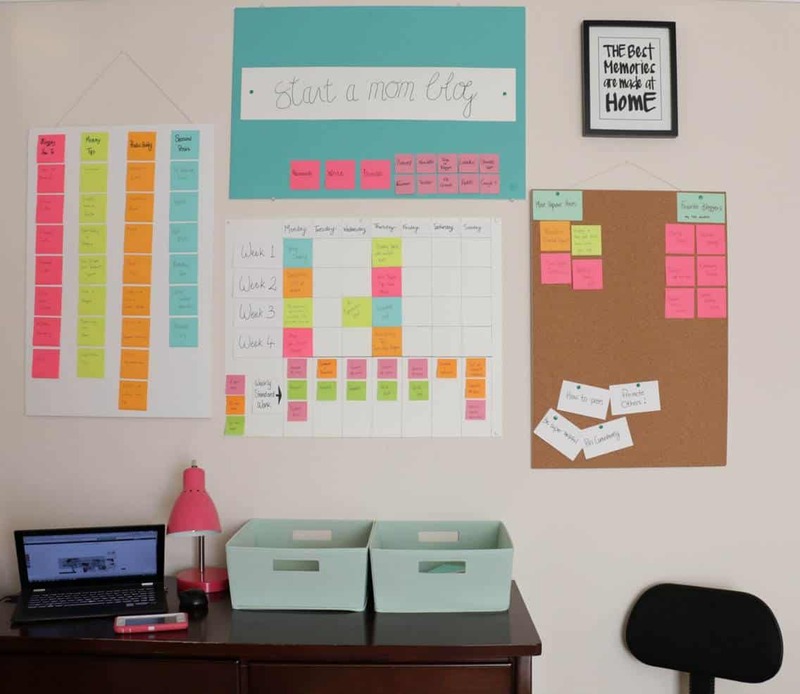 If you are a tactile, paper-loving, office supply fanatic mom, create a blog vision wall for yourself! Confession: Colorful post it notes, pretty pens and lots of push pins make me giddy! 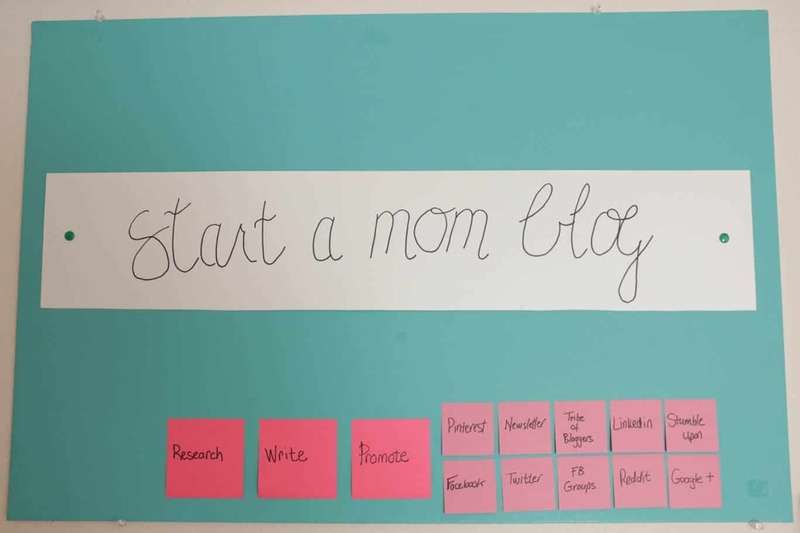 I put blog vision board directly on the wall in my daughter’s play room. So while I play with her I can look at my wall and be inspired. I can jot down ideas, post them on my wall, and organize my editorial calendar. While I am spending valuable time with my little girl, playing with play-doh, I am running through future blog post ideas. And when an idea strikes me, I quickly jot it down on a post it note and put it on my wall. There is something very comforting about having a physical space for my blog. Because the entire blogging world exists on my computer, having a physical view of what I do makes it more real, and allows me to see the big picture all at once. It also gives my husband and family an idea of what I do. When I have play dates I show my mom friends my blog wall. Most of the time they give me fantastic ideas for future blog posts! My little girl also loves how colorful it is. She enjoys ‘helping’ mommy write down ideas and putting them on the wall too. I always try to include my toddler in my activities and make her feel like a big girl. If you have little ones to keep occupied, try these 15 creative ways to keep your child busy while you work from home. This is my blog vision board and editorial calendar. Right behind me is my toddlers toys scattered all over the floor, play-doh everywhere, and a cabinet with all my craft supplies. This is my creative room. The rest of the house I try to keep minimalist and simple, but my creative room (my toddler’s play room), that’s where the blog posts are born! 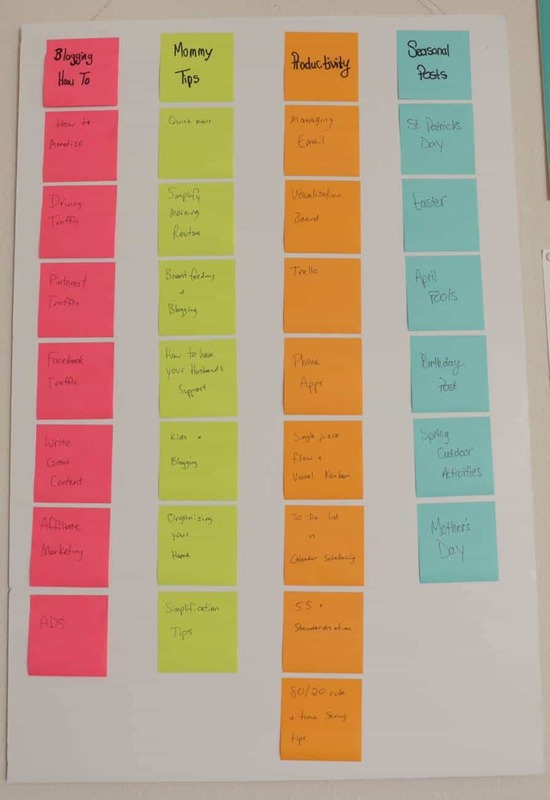 This is my kanban, or inventory, of blog posts. I color coordinate them by category so I can easily see how many of each type of post I have when I move them over to my editorial calendar. Here I add ideas as they come to me while playing with my toddler in our creative / play room. If you need some blog post ideas check out 25 blog post ideas that will save time and increase traffic to your blog, these great monthly blog post ideas or these super detailed blog post ideas! Above is my editorial calendar. I take posts from my list board and place them on my editorial calendar. By using specific colors for each category, I can easily see on my editorial calendar that I am posting a good mix of articles. Right now, as I just had a baby, I am posting once a week until I get into a good rhythm again. When I have adapted well to two little ones, I will post 2-3 times a week. As a mom blogger you need to be honest with yourself on your capacity. I’d rather write good posts and only do it once a week, than post unhelpful and short posts just to get something out. The bottom of the poster shows my blog weekly standard work. (Another Lean Six Sigma tool!) I have color coordinated the activities by roughly how much time they take to complete. Pink = 15 min, Orange = 30 min, Green = 60 min. This way I try not to overload myself too much on one day. I know my limits, I know my time. Setting realistic expectations allows me to attain my goals and prevents me from becoming overwhelmed and stressed. I do all my research early in the week, and spend Thursday and Friday composing my blog post. On Sunday night I schedule all of my social media for the week so I can focus on promoting my new post and connecting with other bloggers. At the top of my blog vision wall is my blog title and the process I follow with each post. 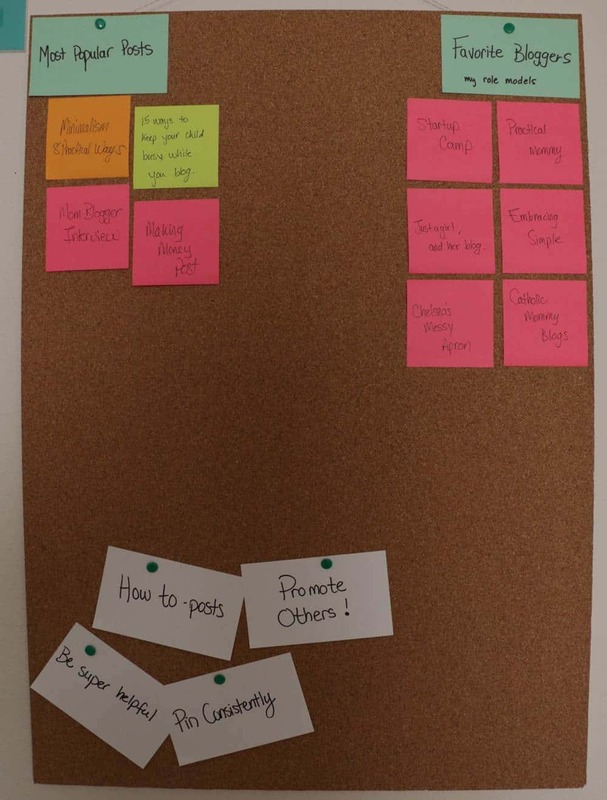 The little pink post it notes show all the channels I use to promote my posts. You may have more or less. They serve as reminders to me so I remember where to post the articles I spend so much time on. Erika from Olyvia.co has a great post on how to grow your blog traffic. She advises to spend 30% of your time writing your post, and the other 70% promoting it! I couldn’t agree with her more! I also include a place for me to review best tips and my most popular posts. It is very helpful to be reminded of which of my posts are the most popular. This shows me what my readers like. It also helps to tailor what my future posts should be about. I include my favorite bloggers on my board too. When I am out of ideas and feel blah, I browse their blogs and their Pinterest boards for inspiration. 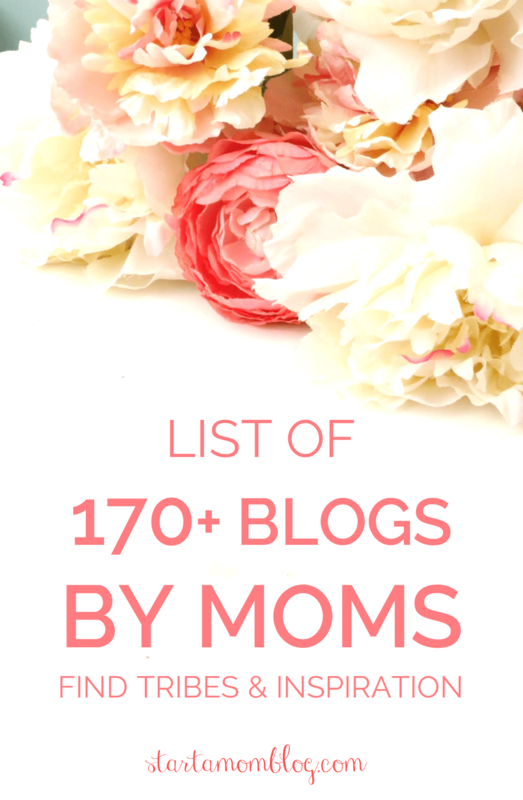 I have a list of 50 bloggers that I follow, but these are some of my favorite! Just a Girl and Her Blog – Abby has such a beautiful redesign of her website! And her organizational tips are fantastic. Chelsea’s Messy Apron – Her recipes and pictures can make you hungry even after you’ve had three plates of your Thanksgiving day meal! Embracing Simple – I love the time saving and productivity tips from Christina. And she also has a little girl born the same month as mine. So: instant connection! 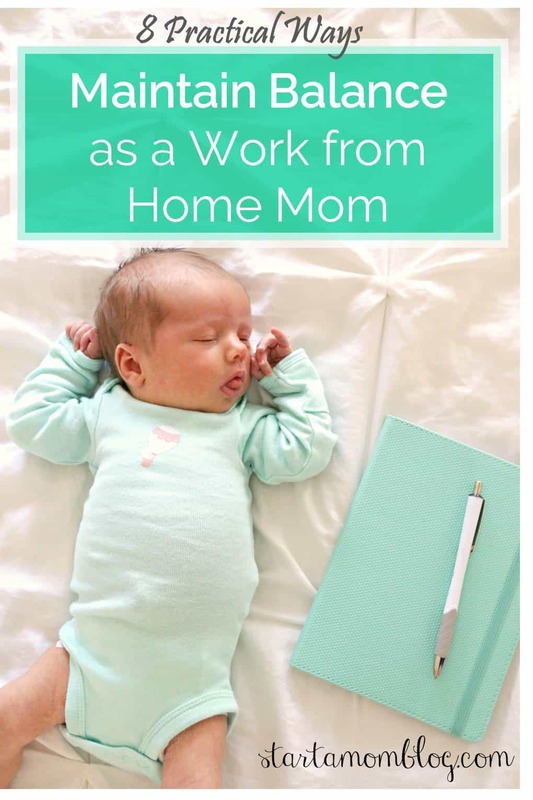 Practical Mommy: I love her work at home mom series. And she’s also super sweet as I discovered when chatting with her on Facebook. Catholic Mommy Blogs: Life is not all about blogging. So when I need to fill my spiritual cup, I head over to Catholic Mommy Blogs and enjoy browsing the many featured bloggers and great posts. StarupCamp: Dale and his beautiful beard inspire me to not only be a better blogger, but a better person too. His articles are so good I want to read them daily for motivation. Then of course, it helps to make your wall pretty! Add a few quotes or pictures that inspire you. This is your creative space. Let it be a place where your mind can come up with fantastic content. If you are a techy, Google-loving mom. Here is my vision board directly translated to Google Docs! Apply the Lean Six Sigma engineering tactics to planning your blog efficiently and effectively. 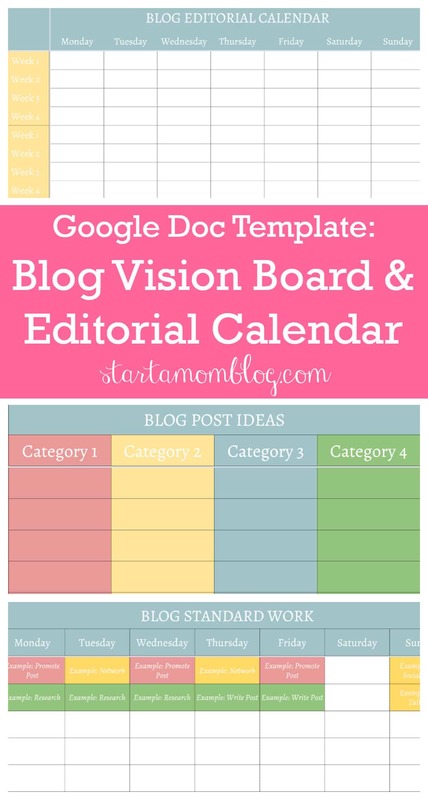 Click on the image to download the Google Document – Digital Blog Vision Board to get started on planning an awesome blog vision board and editorial calendar! 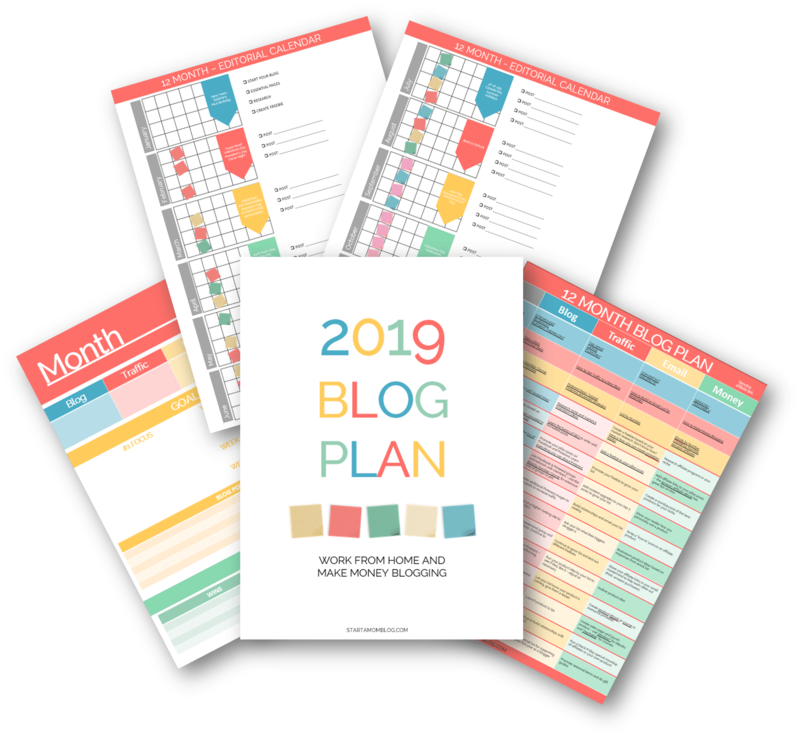 Before Suzi’s Blog Vision Board and Editorial Calendar, I felt like I was limping my way through a blogging schedule. There was just so much to juggle: researching, creating, and promoting valuable posts, designing pinnable and sharable images, keeping up with social media platforms, commenting on blogs and engaging with other bloggers, etc. It was just so overwhelming. 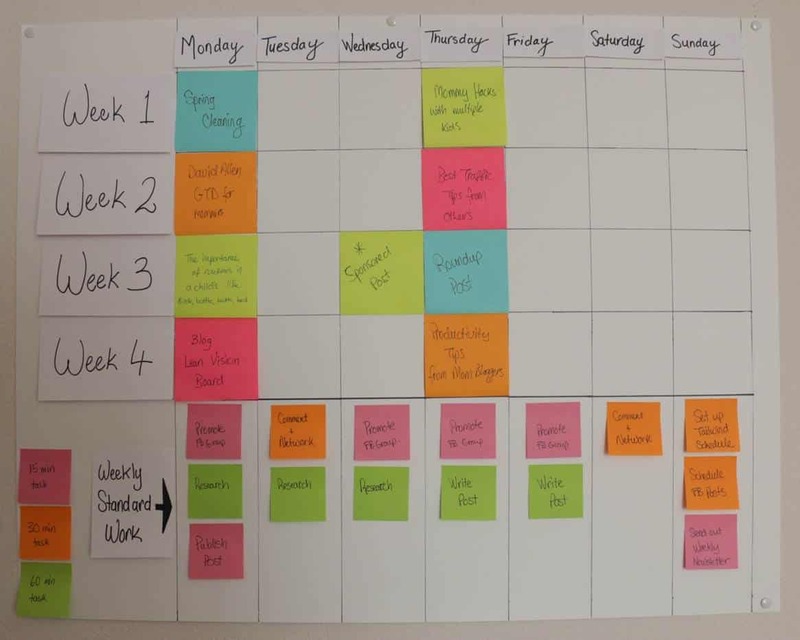 Suzi’s Google Docs template really helped me layout my weekly goals and find the time to accomplish them. I especially love that I can quickly glance to find a task that matches the time I have available, which is often only 15 minutes while my daughter is awake! Her vision board has revitalized my blogging routine. Bio: Andrea Stang is a freelance writer and work at home mom (WAHM) blogger at (The Write at Home Mom) www.thewriteathomemom.com, where she helps guide passionate, fearless, budding entrepreneurial women to discover their creative purpose and help support their families by working from home. Read on! Related posts below. Wow – this is really thorough. Nice work. Thank you Julienne! Having something physical for my blog helps me immensely! I love this whole post! Stationary makes me giddy too so I don’t know why I don’t have a physical representation of my blog on my office wall. Time to get on that this weekend! Thank you Jenn! Yeah, once I realized I can have a physical place for my blog, I got so excited! It’s great to see the big picture instead of looking at my computer screen all the time! This is fantastic! Thanks for laying all of this out so that I can create my own! Thank you Amber, I hope it works well for you! So nice to see you here. And I love your new blog, congrats! I REALLY need to implement this! 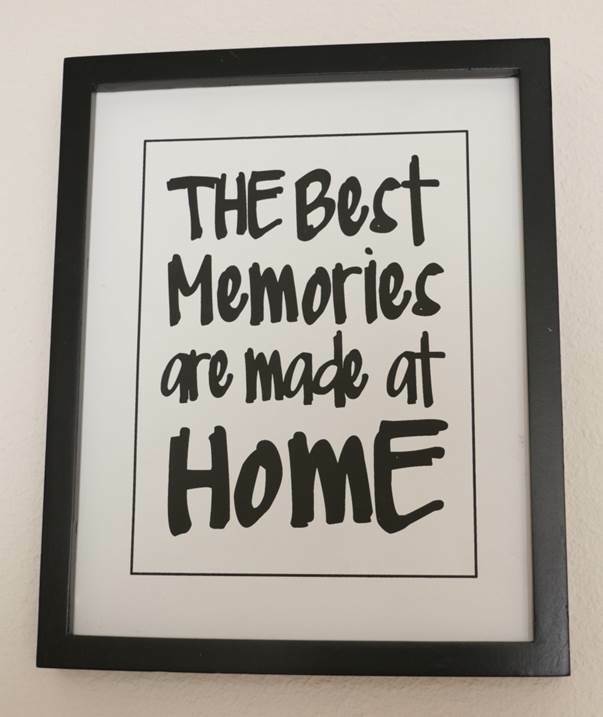 I finally stopped trying to blog from the kitchen table and in my actual office so I can definitely put this on my walls. Because my desk calendar isn’t cutting it. I may need large type and constantly looking at the reminders to keep me consistent. Your attention to Detail is awesome. And your Blog “Vision Board” Is quite interesting, Different from the type of Vision Board I was expecting but still did touch a point. I use Google docs for all this and Its made my life super easy coz I also get a reminder super sweet. Thank you Julie! Vision boards can mean different things to different people. But I’m glad you like it. I use Google Docs for most of my blogging things, but when I plan out my posts, my vision board is my go to resource! This is really helpful! AND I love your pins!! I need to do some like that, do you have a post on creating your images? Hi Jenny! Thank you for the compliment. I don’t have a post up yet, but I’ve been wanting to share my tips. It is definitely one of the blogging things I really like.. taking stock images! I loved this!!!!!!! So timely as I just started my first blog!! Ana! Thank you, so glad you find it helpful. 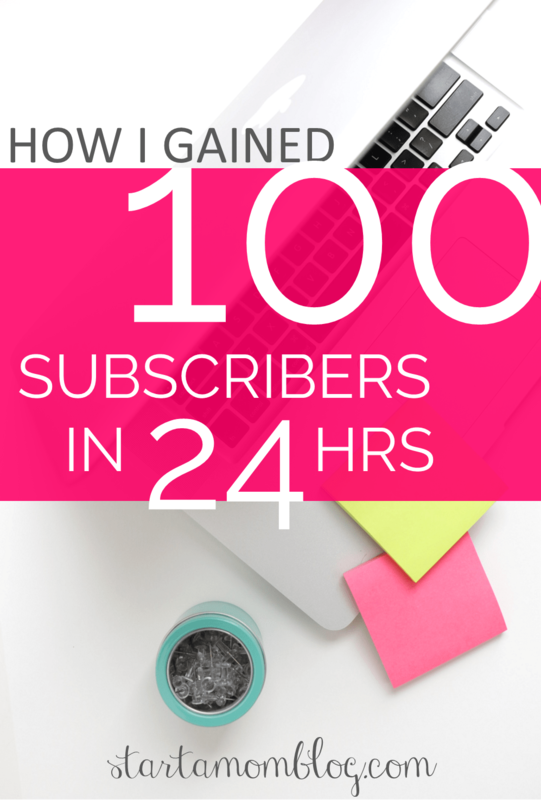 It’s been a great tool for blogging and fun to keep updated too! Wow, great work! 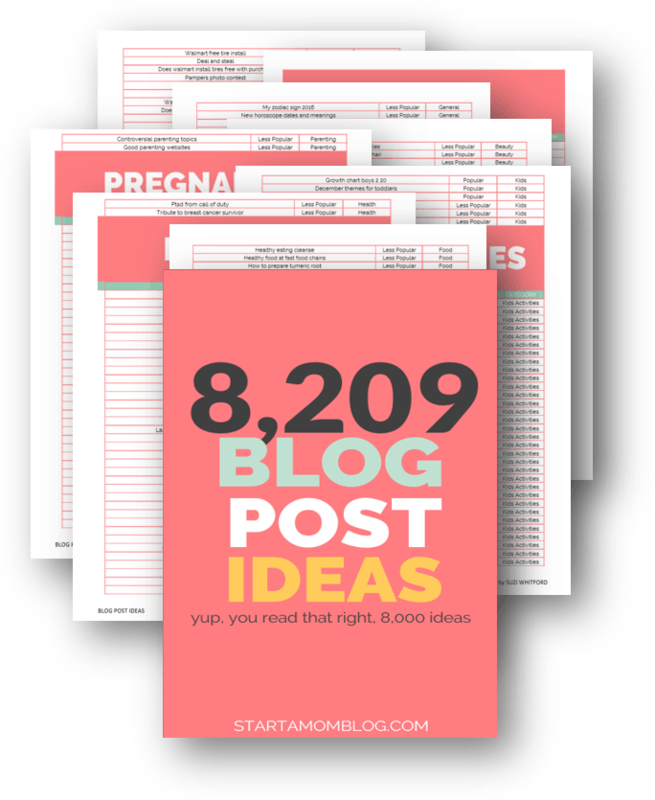 This will make any bloggers life so much easier, thanks for the inspiration! I will definitely keep this in mind when I create my blog vision board! Wow! What an amazing idea! Just yesterday I was thinking I needed to make a notebook or some way for each category on my blog with all the current posts written (just do I know what I already have!) and then ideas for new posts. This is the perfect way to do that and I if I put it above my desk it’s a great reminder! I have tried in the past to use my phone calendar or a planner but I find I write stuff and then don’t refer back as much as I need to because it’s not visible unless I look so I love this idea. Thanks so much!! Wow thank you Sylvia! I am right there with you. If it’s not visible, I don’t get to it. 🙂 thank you for the great comment! This is amazing!! I really need to start doing this to be more organized and I feel like doing something like this helps spark creativity! Suzi, I am so happy I found you!! I blog over at http://amotherlovingmess.com I’ve been looking for something to help organize all my ideas and a way to help me see my vision for my blog. This is going to help me so much! Thank you. You’re awesome! Trying to download the Google Docs template but having some issues with it saying there was an error. 🙁 I was hoping to use this today–is there another way I can get it? Thank you! Love your site. Taylor, send me an email and I’ll get it to you. Hi Suzi – I just found your blog and this post and I have to say THANK YOU! I’m in operations at my job too and just launching my blog. My OCD over systems was killing me and I’ve gotten too complicated on my Editorial Calendar. This visual presentation for Google Docs is terrific. Thanks for sharing with us all. Jennifer, thank you! I am so happy to have a fellow blogger who understands the operations world 🙂 I checked out your blog too, super helpful! I hope the system works for you, visual management is a real life saver! Suzi, my dear mom blogger….I’m your fan.  I heard about editorial calendar a lot and most bloggers talk about it but you put it out there for us…the exact one you use to schedule your post. That’s the best thing about you- You actually want to help others and you know how to do it. You are one of the honest bloggers. Like you have a list of few fav bloggers on your board…you know who is going to be on my one. Every post of your’s is full of helpful tips that actually help. Thanks for sharing your ideas with us. Keep up the good work.